Please read the following license agreement for the software you have selected. *Not all courts or lawyers use this program. Monthly incomes over $10,000.00 are subject to the discretion of the Courts. Each time you change the entry of a number you may get a different computation. Home users are limited to up to three hours continuous and multiple logins under a single payment. After the time has expired you will be required to repay for additional time. 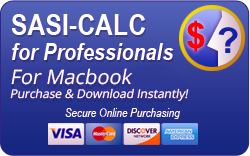 SASI-CALC does not provide any legal advice. If you are in need of legal advice you should contact a local attorney in your area, your local bar association or one of our advertisers. Please read the terms and condition of this license agreement carefully before using this program, you should not proceed to the purchase of the home user internet version and no further use is authorized or permitted. The software contained is owned exclusively by Support Analysis Software, Inc., and is protected by the United States Copyright laws and is not meant for export outside the United States and no license express or implied is granted for such exporting. 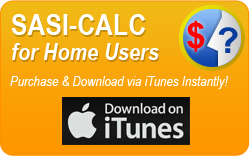 This program maybe installed on any single user machine unless you have purchased multiple licenses of SASI-CALC or you are using the home internet version. 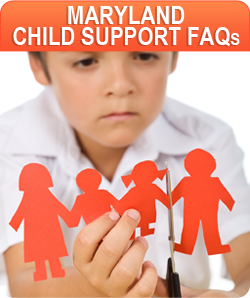 This program cannot be transferred to any other person or entity and installed on any other computer or network without the purchase of licenses from Child Support Software, Inc. This means that you can not loan, rent, lease, sub license this or any copy of this program. You are not authorized to give your user ID or login information to anyone else. Sasi-Calc is compatible with Windows 2000,NT and XP operating systems. The program is not network compatible. To the maximum extent permitted by applicable law, in no event shall Support Analysis Software, Inc., or its suppliers, distributors, programmers, developers or agents be liable for any damages whatsoever (including without limitation, special, incidental, consequential, or indirect damages for personal injury, loss of business profits, business interruption, loss of business information, or any other pecuniary loss arising out of the use of or inability to use this product,) even if Support Analysis Software, Inc., has been advised of the possibility of such damages. In any case, Support Analysis Software, Inc., and its suppliers entire liability under any provision of this agreement shall be limited to the amount actually paid by you for the Support Analysis Software. Support Analysis Software, Inc., does not warrant compatibility with any specific or generic computer. Any problems or defects should be reported to Support Analysis Software, Inc., 301 738-5704 or email at support@sasi.us. No fee or remuneration shall be paid for the reporting of any errors in this program. It is the responsibility of the user to verify and check al numbers and computations before relying upon or submitting to any Court. If any dispute arises over the use of this program the licensee agrees that the entire matter, dispute and or claim(s) shall be submitted to arbitration through the American Arbitration Association in Washington, D.C. and their decision shall be final and binding on all parties. No claims for legal fees or cost of the licensee in the bringing of any action shall be paid for my Support Analysis Software, Inc. and is expressly waived. If an arbitration award is made in favor of Support Analysis Software, Inc., then you shall be liable for all cost, expenses and legal fees. The Laws of the State of Maryland shall govern unless otherwise prohibited. Some states or jurisdictions do not allow the exclusion or limitation of liability for consequential or incidental damages, the above limitation may not apply to you. Technical support for Professional Version shall be provided to the end licensed user for 30 days from the date of purchase. After 30 days technical support is available on a limited basis and there will be a per incident charge of $90.00 per one-half hour. Hours for technical support are Monday-Friday 10:00 am to 3:00 pm and are subject to change. All time is based in EST. Rates are subject to change at any time and the sole and exclusive right of Support Analysis Software, Inc.. We will replace any defective media disk within 30 days of purchase. You must return the original disk at your expense requesting a receipt for tracking purposes along with a statement that the program has been permanently deleted from all computers. Contact support@sasi-calc.com. Support Analysis Software, Inc., has the sole right to sell or transfer its copyright of this program at anytime at its discretion. Technical support cannot provide legal advice of any nature. This program is not meant nor intended to provide legal advice of any nature and is meant to be informational only. If you are in need of legal advice then the user should contact an attorney in your specific state for advice. If any portion of this agreement is deemed to be invalid or unenforceable, then the rest and remainder of this agreement shall remain in full force and effect. The following information is our policy of how your personal information will be treated. Support Analysis Software, Inc., reserves the right to change it's policies at any time, so please check back periodically for updated information. We do not sell any information or release any information to third parties not working with us about you. Internet access partners, advertisers, and web sites that have links on or to our site may collect personally identifiable information about you. The information practices of those Internet access partners, advertisers, and web sites linked to or from the Support Analysis Software, Inc., website are not covered by this privacy statement, nor are we responsible for their policies and/or practices. By clicking on a banner you acknowledge that certain information about you may be collected. All materials on this server and this Internet site, including the site's design, layout, and organization, are owned and copyrighted by Support Analysis Software, Inc., or its suppliers, vendors, or designers and are protected by U.S. and international copyrights. All rights reserved. COPYRIGHTED 2005-20133 ALL RIGHTS RESERVED.